Learn how to protect corporate data when users use personal devices for work. The rapid proliferation of mobile devices entering the workplace appears to be like divine intervention to many IT leaders. Mobile devices and their apps have transformed the way we live – how we communicate, travel, shop, work and so much more. This mobility transformation has been so radical, so revolutionary, that it is hard to imagine life without these devices. 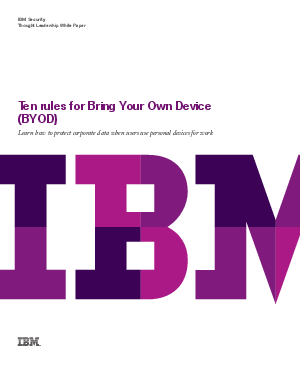 Bring Your Own Device (BYOD) was born and employees followed with fervor.